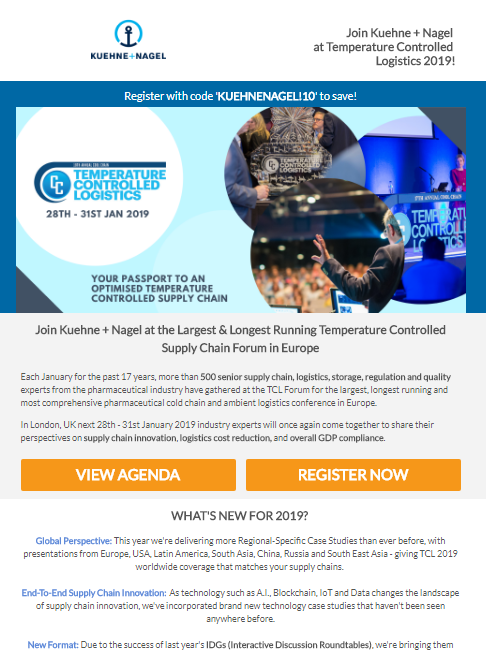 Ahead of the 2019 Temperature Controlled Logistics Forum, we've invested a new platform called 'Feathr' to help you increase your marketing presence ahead of the event. Spread the word to your network about participating in TCL 19 and drive traffic to your website and stand at the event! These tools are all FREE and easy to use - so what are you waiting for? Text that includes your TCL personalised Feathr Landing Page link. 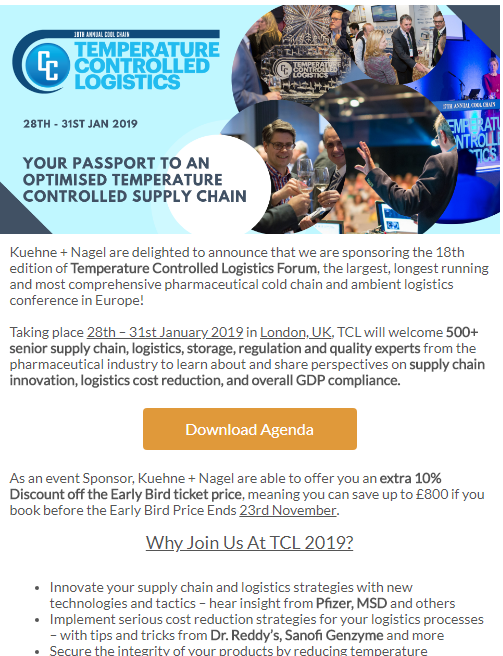 We'll be exhibiting at TCL19 in Twickenham Stadium on 28-31 January 2019 and we'd love to see you there! Click here [link words 'click here' to your landing page URL] to learn more and access exclusive savings through our landing page. We have created a variety of promotional images for Sponsors to download and use in their communications. These are available in your Feathr Dashboard, or email victoria.smart@iqpc.co.uk for copies.